In recent years, there has been an explosion in data centre development in Ireland. Leading the way was Microsoft, which developed a vast data centre at Grange Castle near Clondalkin in 2009.Now nearly all of the big technology companies such as Amazon and Google have a data centre footprint here. There are plans for more Data Centres such as the giant €850 million data centre Apple is planning in Athenry, Co Galway. Electricity or power is now one of the key considerations in selecting an appropriate site and in the on-going management of a Data Centre. Electricity or power is one the main costs involved in operating a Data Centre and facility managers use experts such as Powerpoint Engineering to ensure that there are no power quality issues at their Data Centre. So what are the key ingredients in providing this specialised service? Powerpoint Engineering is the proven leader in this area having assisted numerous Data Centres particularly during the commissioning stage. Their team has the necessary expertise in power quality surveys, power quality monitoring and providing power quality solutions. In terms of compliant equipment, the simultaneous recording of all Power Quality parameters with a good quality portable power quality analyser allows for repetitive guaranteed measurements during data centre commissioning. When commissioning Generators, UPS systems, and Switchgear Equipment, the use of reliable, easy to use, standards compliant measurement equipment is very important. There are some good options available of comparable instruments. Some that we recommend include Unipower from Sweden which has the Unilyzer U900 & U902 instruments, both comply with IEC 61000-4-30 Class A for Power Quality measurements. Dranetz, which is part of Gossen-Metrawatt, offer the Power XPlorer, and Fluke has their popular Fluke 435-II. 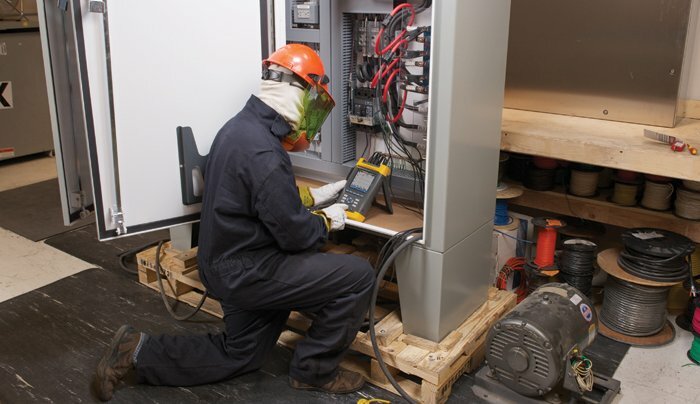 When measuring to standards or client specified requirements, the specified scope of works detailing the list of parameters to be measured, such as kVA, kVAr, kW and harmonics levels, is critical. These commissioning tests are expensive so it is also imperative that all required data is measured and collected in an accurate, dependable and repeatable fashion. For example, a generator load test may need to run for 20 hours, with a large commissioning team and a large quantity of fuel to be used! Supplementary data is also captured such as fast transient disturbances. This information can be of used for troubleshooting other subsequent issues occurring during commissioning, such as electronic component failure or malfunctions. For more information please contact Garrett Kelly BSc MIET at [email protected], Senior Project Engineer at Powerpoint Engineering or call us on 057 866 2162.